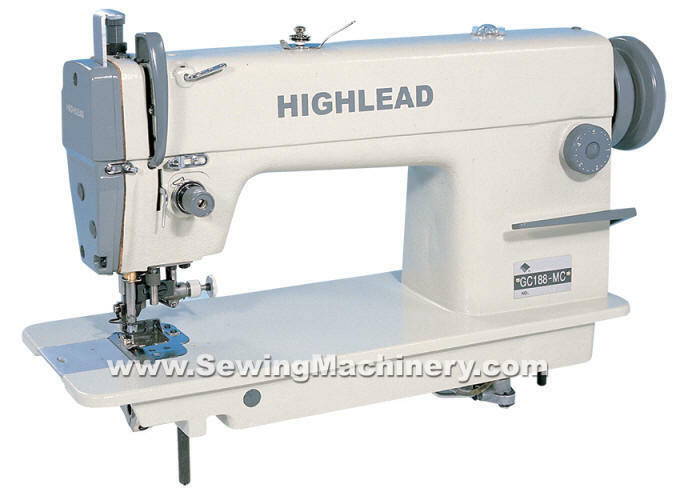 Highlead GC188-MC single needle lockstitch industrial sewing machine with combined fabric edge trimming, while stitching at the same time. 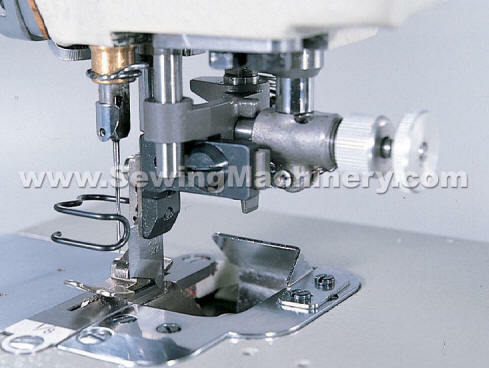 The adjustable edge trim device can be engaged for stitching & trimming various types of material or, by a simple pull of a button, it can be disengaged for straight stitching only. 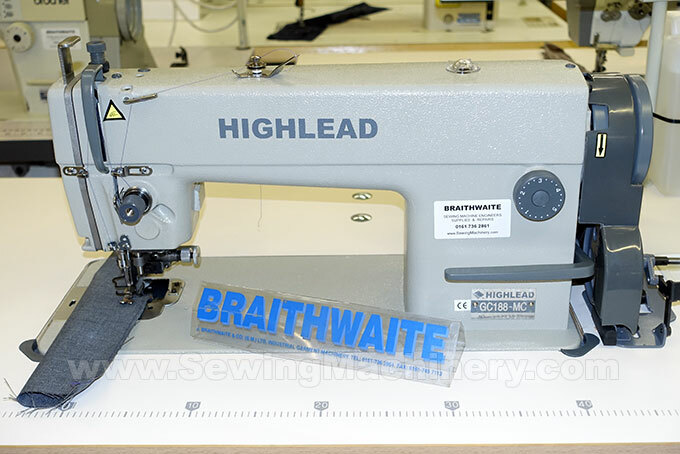 Standard 3.2mm edge trim from right of needle. Optional sizes are available to order. Supplied with matching unit stand, with choice of heavy duty clutch motor or energy saving electronic servo motor.